With more than 20 years experience in embedded computing, ARBOR continues to expand its expertise in industrial computing making ARBOR a leading supplier of computing platforms and solutions, which can be applied globally in the healthcare, transportation, industrial automation, warehouse management, and digital signage markets. ARBOR is a global company with headquarters in Taiwan; R&D team in Taiwan and Shenzhen, and manufacture and after-sales service centers were arranged in various locations to meet customers’ requirements. 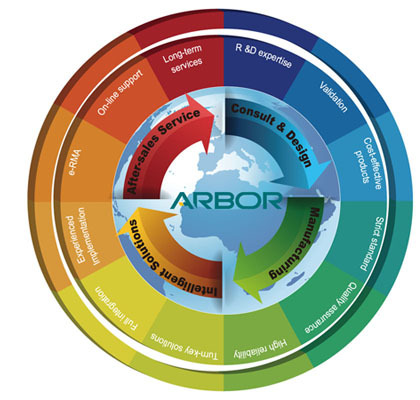 ARBOR has an extensive worldwide sales network with offices in Taiwan, China, USA, Canada, France, Germany, Italy, United Kingdom, South Korea, Singapore and Malaysia. These offices support our worldwide network of resellers, distributors and other partners. Our sales network, combined with ARBOR’s state-of-the-art technology and best practices in advanced embedded design, severe test & measurement capability and market experience, makes ARBOR the best partner to support your business growth.